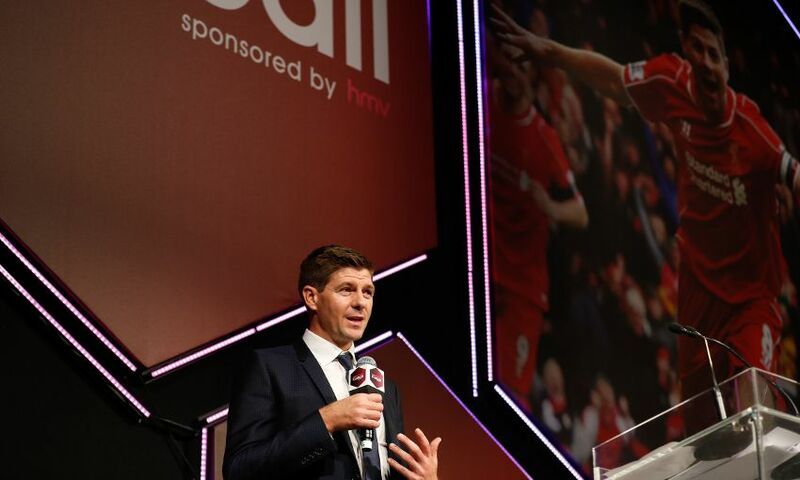 Steven Gerrard admitted to being humbled as he received the 2017 Legend of Football Award – but stressed he has unfinished business in the game. The Liverpool icon was presented with the accolade, previously won by the likes of Kenny Dalglish and Pele, at a ceremony to celebrate his career in London on Monday night. “I’m not sure I belong in that company but I’ll certainly take it,” he told Liverpoolfc.com. “I’m really blown away by the support and obviously the previous winners. “But the most important thing is to remember the charity we’re here for, to support Nordoff Robbins – an excellent charity where a lot of music and sport people come together. Nordoff Robbins is a music therapy charity which helps thousands of vulnerable and isolated people across the United Kingdom, supporting individuals with a range of needs. More than £435,000 was raised on behalf of the organisation – whose work Gerrard recently saw in person – at the latest edition of the Legends of Football event. “I didn’t realise until I visited the centre how important music is and the effect it has on people with the likes of autism and dementia, and how much it helps the people themselves but also the families to give them a bit of rest and happiness,” he said. The evening was a tribute to Gerrard’s phenomenal achievements in football, with a host of former teammates and managers in attendance. From his emergence through Liverpool’s youth ranks to a stunning 2001 cup treble, taking the captain’s armband for a dozen years to lifting the Champions League in 2005, and everything else across his 710 appearances, the midfielder was a talisman and his place in Reds history is assured. Asked to pick his finest moment, he said: “Istanbul – I’m going to be saying that until the day I go. “It was such a special night and a night I never thought I’d be involved in. When I grew up I had a dream of playing for Liverpool, I didn’t have a dream to win trophies and certainly didn’t have a dream to win the biggest one of all. There were lows too, of course, most notably the heartbreaking manner in which Liverpool were denied the Premier League title at the conclusion of the 2013-14 season. 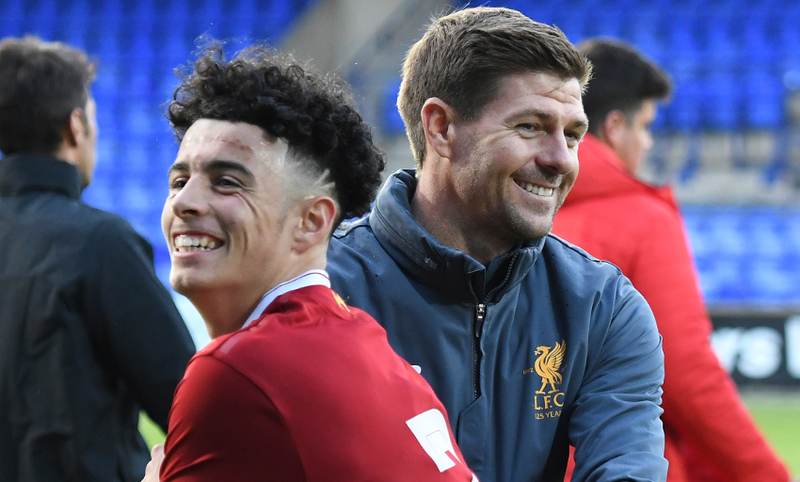 More than three years on, the sharp pain of that disappointment remains raw for Gerrard but equally serves as motivation as he sets about making his mark in management with the club’s U18s side. “It’s no secret that I had a lot of lows along the way,” he added. “I think I went on to achieve the highs because of the pain and how much I had to suffer through the lows. That helps you get up, start a clean slate and drives you on to achieve the highs. “I’ll never be able to let go of the one low and that was not winning the Premier League; I still feel it was cruel and still take it very personally. “That’s one of the reasons I haven’t given up on the game and why I’m still going to try to make amends for it along the way. “I feel like I’ve got a lot of knowledge in the game and a lot of people can benefit from that. I’m trying to do my bit at the moment at the Academy. I’m really enjoying the role. “The club have been very supportive of it. I’m making tons of mistakes along the way but I’m learning my trade. “Hopefully one day I’ll manage and coach at the top and be able to add to a lot of the highs I had in the game. That’s the reason I’m doing it. That’s what I grew up wanting to be – be around football and be around the highs.